Hey, remember that episode of Breaking Bad where Walt tried to make a peace offering to Skyler by bringing a pizza over to the house, only to throw it up on the roof in frustration after Skyler turns him away? And then he goes on a bender and ends up calling Skyler and berating her over the answering machine? That was pretty funny, right? 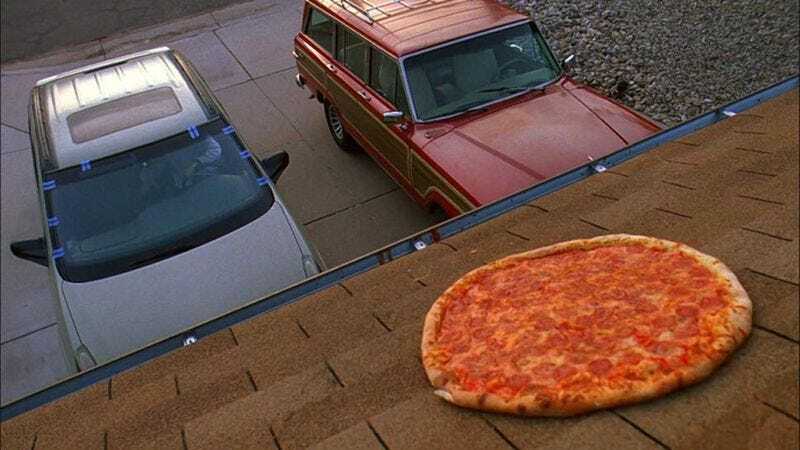 And wouldn’t it be even funnier if you, a person who is not the fictional character of Walter White on Breaking Bad, took a pizza over to the house where they shot that particular scene and threw it up on the roof as a symbol of your own anger issues? Well, it’s not. From a mild-mannered guy like Vince Gilligan, that’s basically the equivalent of a screaming, spittle-drenched answering machine message, so seriously, knock it off. Now if only Gilligan could calmly explain to Greg in accounting that everyone knows that all of his witty observations are actually Mitch Hedberg bits, and that it’s in kind of poor taste to steal jokes from the dead like that, and he should really just stop.